﻿ Riad Orange Cannelle Essaouira. JIMAT di Agoda.com! Ada soalan mengenai Riad Orange Cannelle? Direka untuk kedua-dua tujuan perniagaan dan percutian, Riad Orange Cannelle terletak di lokasi strategik di Pusat Bandar Essaouira; salah satu kawasan yang paling popular di bandar tersebut. Terletak hanya 0.01 Km dari pusat bandar, para tetamu berada di lokasi sesuai untuk menikmati tarikan dan aktiviti di sekitar bandar. Tidak kurang hebat adalah akses mudah hotel untuk ke pelbagai daya tarikan dan mercu tanda bandar, seperti Afous Argan, Galerie la Kasbah, Flouka de Mogador. Riad Orange Cannelle juga menawarkan banyak kemudahan untuk memperkayakan penginapan anda di Essaouira. Hotel ini menyediakan akses kepada pelbagai perkhidmatan yang luas, termasuklah Wi-Fi percuma semua bilik, meja depan 24 jam, daftar masuk/daftar keluar ekspres, simpanan bagasi, Wi-Fi di tempat awam. Semua bilik tetamu menawarkan pelbagai jenis tahap keselesaan. Banyak bilik turut menyediakan internet wayarles, internet wayarles (percuma), penyaman udara, pemanas, panggilan kejut untuk memuaskan hati tetamu. Sama ada anda peminat kecergasan atau hanya mencari cara untuk bersantai setelah seharian bekerja, anda akan dilayan oleh kemudahan rekreasi kelas tertinggi seperti padang golf (dalam jarak 3 km) , rumah urut, menunggang kuda, sukan air (tidak bermotor). Apa juga tujuan lawatan, Riad Orange Cannelle merupakan pilihan yang terbaik bagi penginapan anda di Essaouira. My husband and I spent four nights in Essaouira and absolutely loved Riad Orange Cannelle. It was super clean, in a great location and we loved spending time on the sunny rooftop. Breakfast was also great. Very highly recommend! We had a very pleasant stay at this Riad, we had booked for only the one night, but loved the area and this road itself that we stayed another night. This is a small guesthouse in the middle of the market. There is no parking inside the Medina, so you have to pull your bags through the market. There is no elevator, but the hosts will help you to take your bags upstairs. The room is very small, and okay if you are sharing a bed, but there is no space in rooms with two single beds. There are no bathroom doors, only curtains, so if you are not a couple, there is very little privacy/discretion. The floors were quite dirty so you might want to take a pair of slippers. The internet was only working in the lobby. Walls are quite thin so you can hear other people snoring. The hosts are great, and the breakfast is served on a cute terrace. Excellent riad, very helpful and friendly host. Ideal location by the beach and good breakfast. After a quick walk throughout the souq, we found the ancient Riad and felt right at home. The rooms are nice and the vibe is tranquil, despite the location in Medina central. Staff is friendly and heart warming. Enjoy their hospitality! If you want to leave a lastig impressioni, get a small sardine for Maggie the adopted alleycat that guards the door to the Riad. our stay was very nice and pleasant, Florence and her husband looked after us and other customers with confidence and professionalism. Nice riad in the middle of the historic district. Enthusiastic multilingual staff made this place worthwhile. Good luck with your new venture! A little hard to find to begin with...but I think that was more down to us than the hotel. The owners & staff were great from the start. 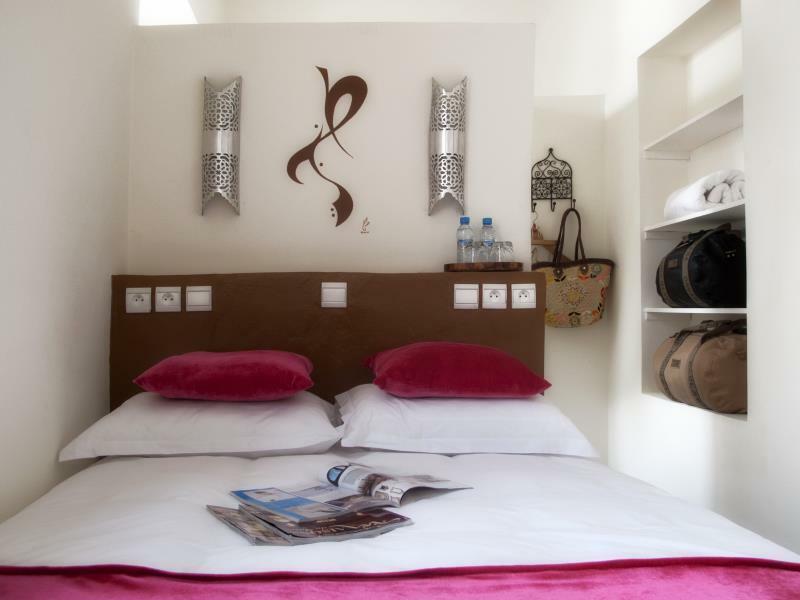 The Riad has 8 bedrooms...singles, doubles & triples all en suite, spread across 3 floors. The rooms (we had 2 of them) were bright, clean & the en suite facilities were excellent with super powered showers with hot water at any time. There was always a staff member on hand if you needed help with anything or required tourist information. We only stayed 1 night as we were travelling around Marrakech, which was a shame as the hotel was well worth the £23 per room per night including breakfast when booked through Agoda. The breakfast was amazing. The tables on the roof terrace were far too small to take the size of the breakfast & the coffee was, without doubt, the finest we found in Morocco during our fortnight there. Highly recommended. We enjoyed it a lot. We felt very welcome and the breakfast is great. Location is perfect and the owner gave us some nice recommendations for dinner places and massage salons. Definitely recommendable. The rooms were very small, toilets without doors which made it very awkward. Our room was on the ground floor and so we could hear people come in and go out. We also had a pool club next door and so we couldn't sleep till like 3am as it was very noisy. Our stay in this riad was wonderful, the girl receptionist was very friendly and the hotel is very simple, clean, cute and comfortable. You will find whatever you will need for a couples of days inside and in the surrounding of the hotel. I even thing that 2 starts are few stars for a nice and cute, small hotel that makes you feel like at home. 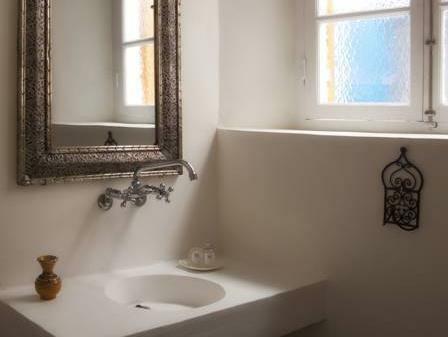 This riad is well priced and is in a great location. Rooms are clean and attractive: the upstairs rooms are significantly nicer than the downstairs rooms which have a damp feel about them. The breakfast was basic as you might expect. Would advise you to be careful using the power points as they are not quite as they should be. We had electric shocks in a downstairs room and were moved to upstairs. The elctrician was called and we were told that it was all quite OK but we should wear shoes and make sure our hands were not wet! Colazione in terrazza molto piacevole; attenti alla pulizia. Centralissimo.